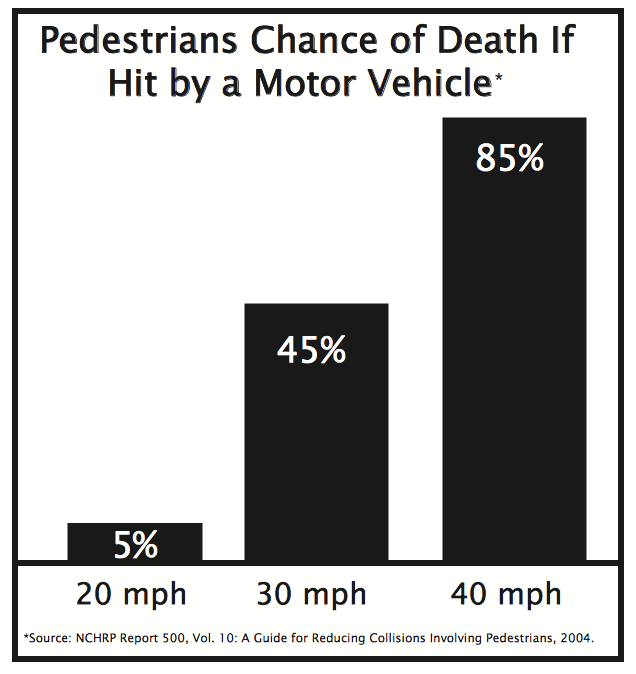 Driving just 5 MPH slower can significantly decrease the likelihood of a pedestrian's death in a collision. While driving in New Jersey is often high speed, Hoboken's community streets are full of people on foot, so slow driving isn't just the law - it saves lives. 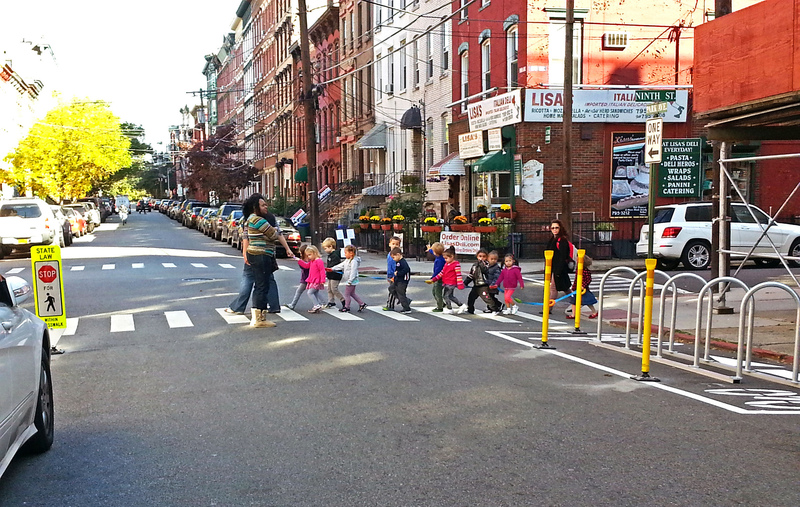 Most streets in Hoboken have a 25 mph speed limit, but that is a maximum speed limit; driving just 5 mph slower has a profound impact on the safety of walking residents. 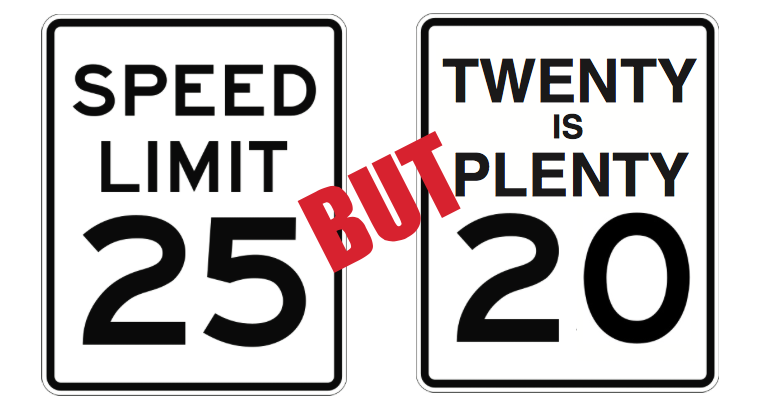 Please watch at intersections for children, disabled, elderly, bicyclists, pedestrians, and other vehicles.